When most clients first contact an employment lawyer, they are thinking about filing a lawsuit and eventually going to trial. However, most employment law cases settle before a lawsuit even is filed. In fact, even when lawsuits are filed well over 95% of cases are resolved before trial. As a result, employment law negotiations can be extremely important. While litigation often is necessary, it can be time consuming, stressful, costly and risky for everyone involved. In New Jersey and New York, employment law cases easily can take two or three years, if not longer, before they go to trial. The process can be physically and mentally draining, especially if you have to relive the harassment, discrimination or retaliation you experienced. It also can be costly, potentially including fees for lawyers, mediators and expert witnesses, among other expenses. In many cases there is a risk of losing your case on a motion for summary judgment, and virtually every case has at least some risk of losing at trial. A settlement eliminates most or all of these costs and eliminates the risks of litigation for everyone involved. In most case it makes sense to attempt to resolve your case before you file a lawsuit. This potentially could save everyone the time, cost and aggravation of a lawsuit. It also could make it easier to settle your case, since your employer might be more willing to compromise to avoid having a public lawsuit filed against it. As a result, for most of our clients we recommend writing a settlement “demand” letter to try to negotiate your employment law claims before we file a lawsuit on your behalf. Even if pre-litigation negotiations are unsuccessful, sending a demand letter can help you learn more about the company’s response and potential defenses to your claims. In some instances, this can help you refocus your allegations. In other situation it could help you decide whether to file a lawsuit at all. Of course, early negotiation efforts are not always successful. When that is true, litigation is often the next step. Sometimes merely filing a lawsuit can enhance your settlement position, especially if your employer thought your threat to do so was a bluff. Other times it may be necessary to engage in discovery to try to prove your case before your employer will offer a fair and reasonable settlement. Either way, the employment law negotiations process can continue after a lawsuit has been filed, up to the trial and even on appeal. There are many opportunities to settle employment law cases after litigation has started. For example, judges often will hold settlement conferences to try to help the parties reach an agreement to settle the case. Likewise, some cases are sent to mediation, at which a neutral lawyer or retired judge will try to help foster a settlement. But whether a case settles as a result of a settlement conference, mediation, or simply through the efforts of the parties and their employment lawyers, much litigation ends with a settlement rather than a trial. Whether you are looking to negotiate or litigate your employment law claim, we can help. 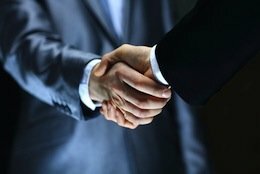 Our attorneys represent employees with a wide range of workplace disputes in New Jersey and New York. Please feel free to contact us online or call us at (973) 744-4000 to schedule an initial consultation.